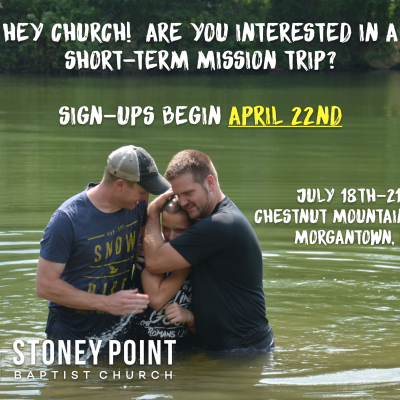 Hey SPBC, we have an opportunity to reach out to one of our partners in ministry, Chestnut Mountain Ranch in Morgantown, WV. We will be going up there in July to help paint, repair buildings and assist the camp director with whatever they need us to do. Will you pray about joining us or financially supporting this trip?